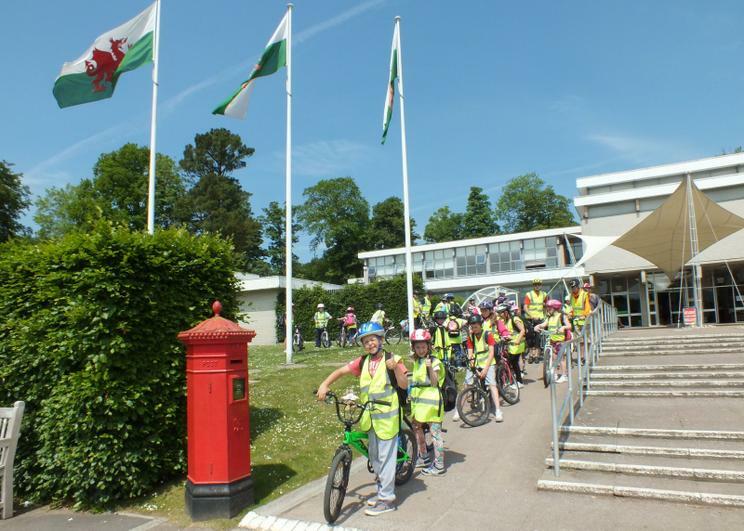 We had a lovely daytrip to St Fagans planned by the children earlier in the year as part of their studies on Cardiff (sadly the rainy Cardiff winter weather delayed the original date). 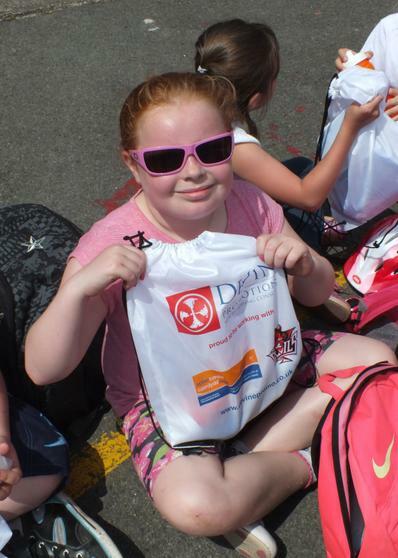 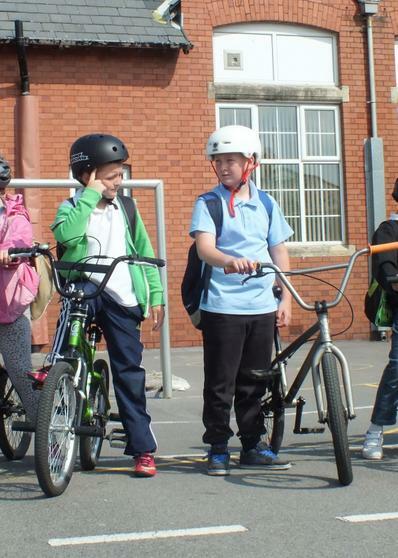 Encouraging pupils to be healthy is very important to us at Millbank, it means that they can be better learners and make the most of the opportunities available to them. 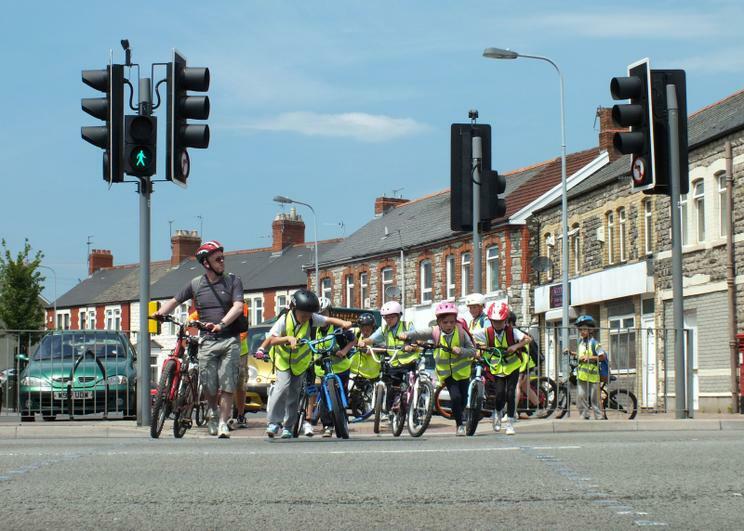 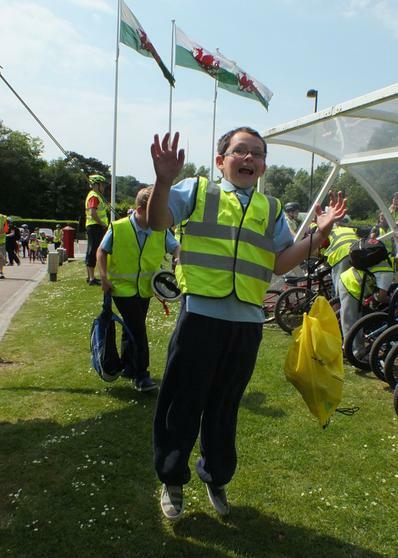 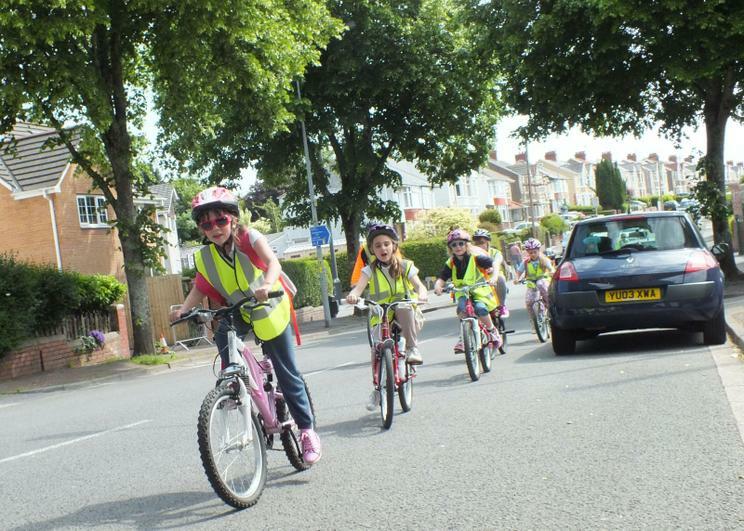 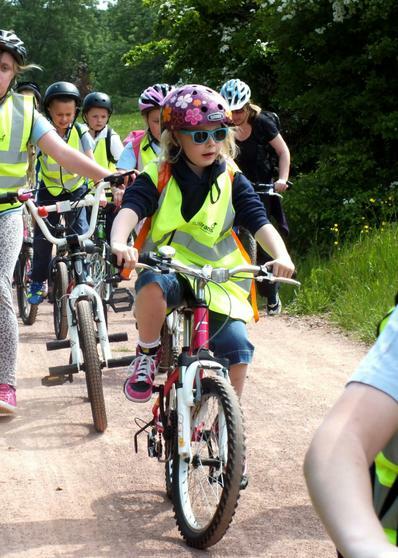 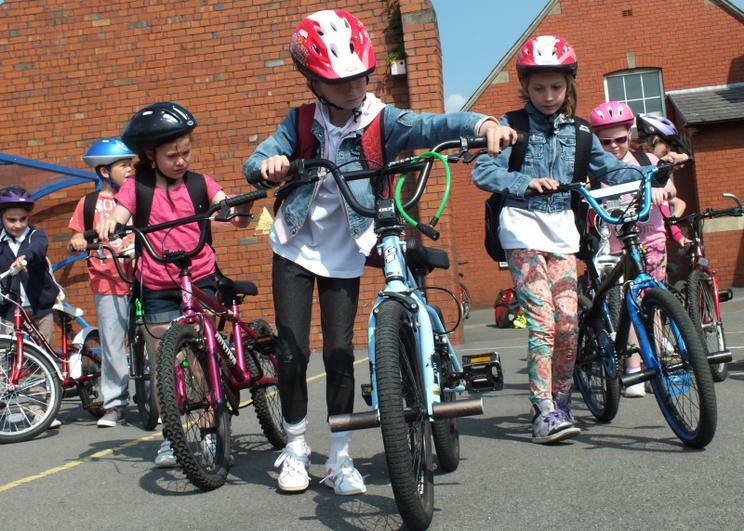 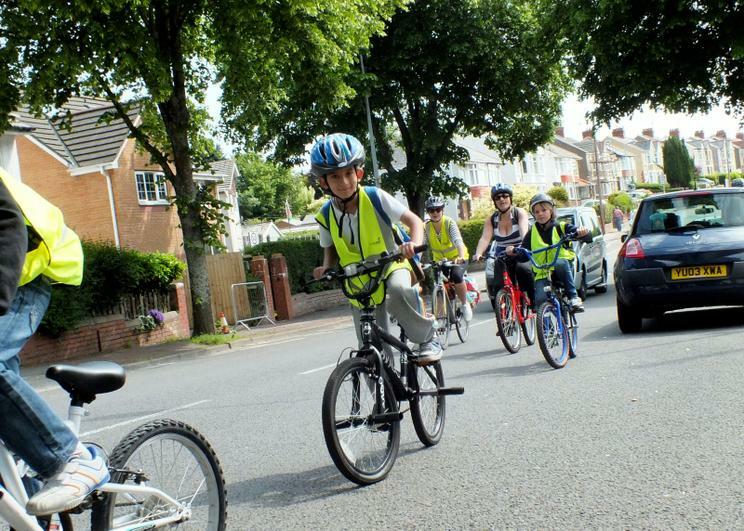 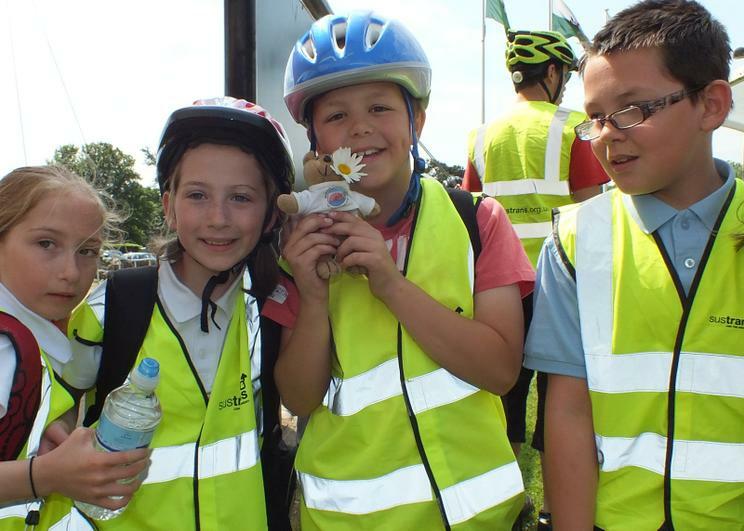 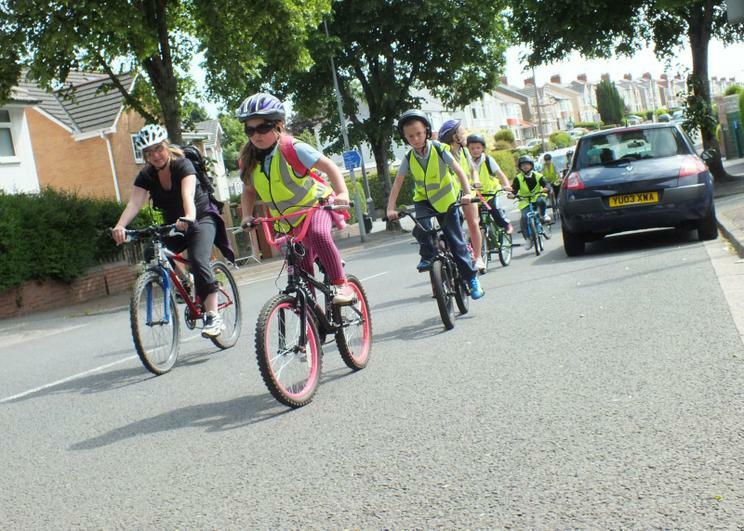 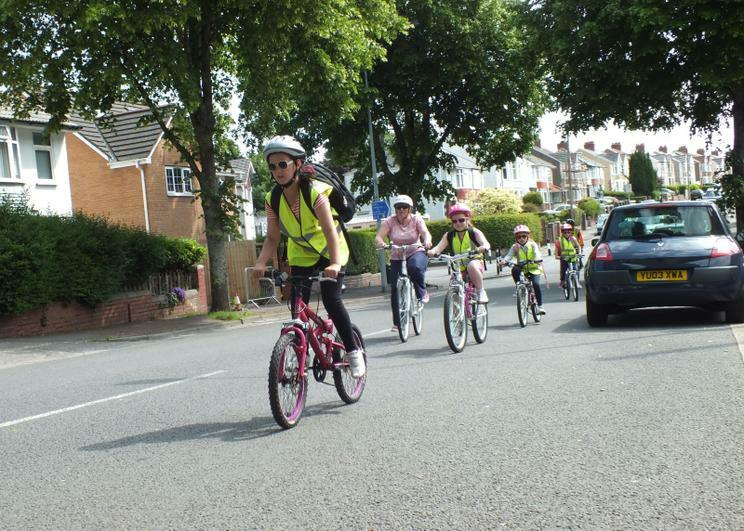 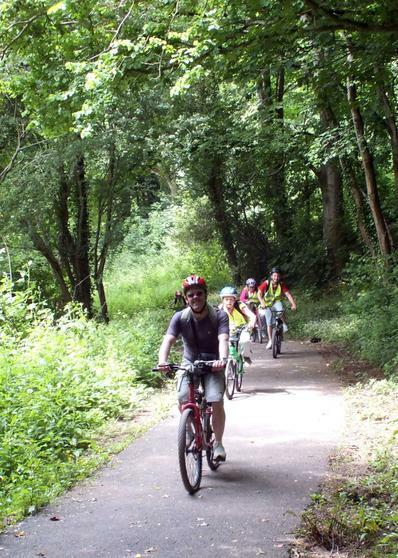 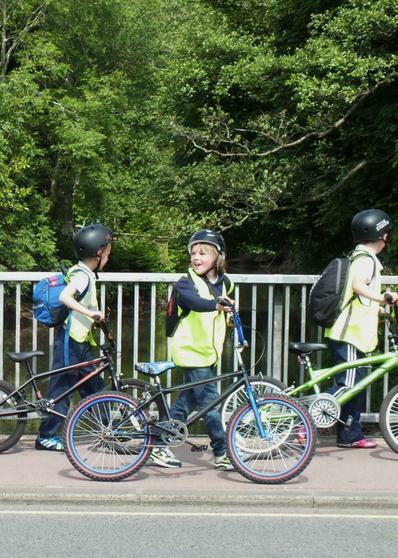 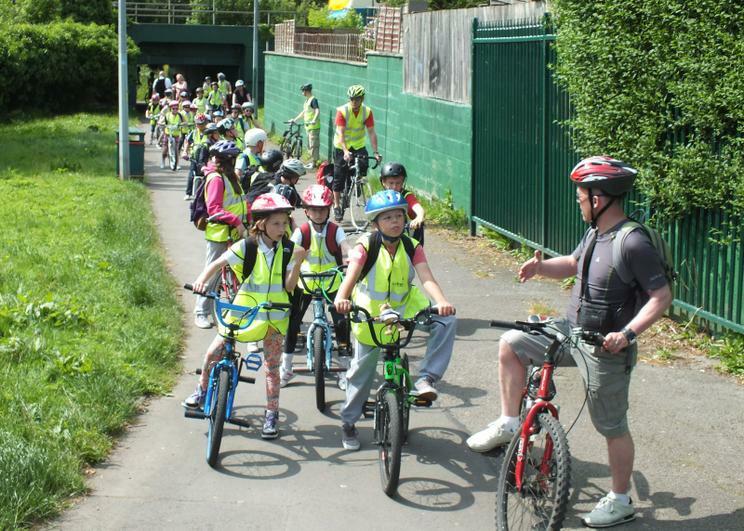 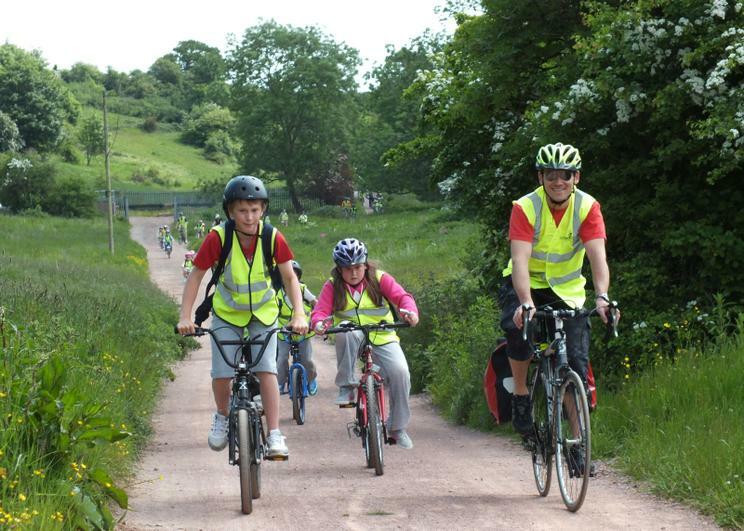 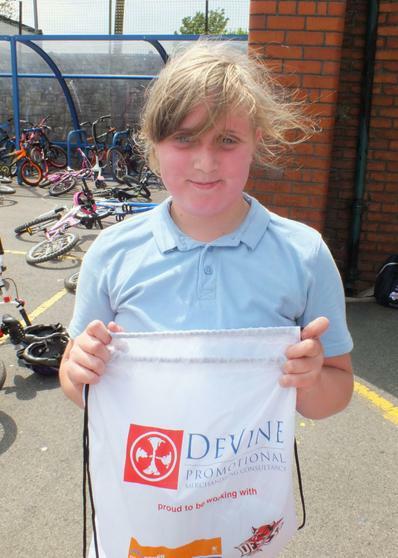 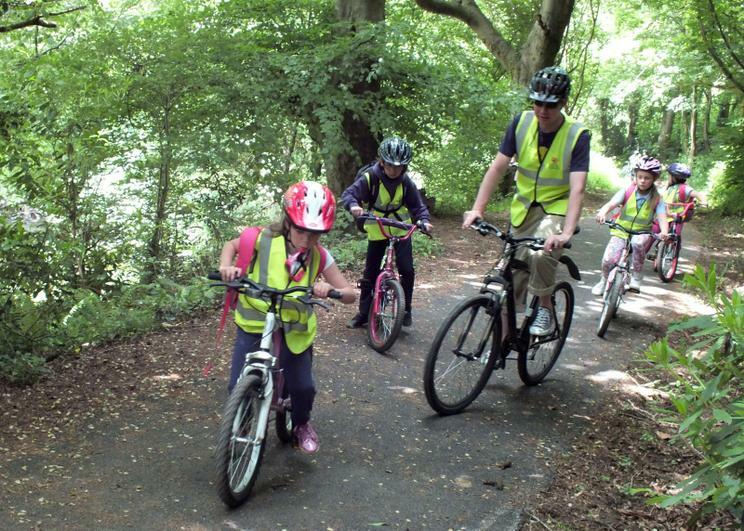 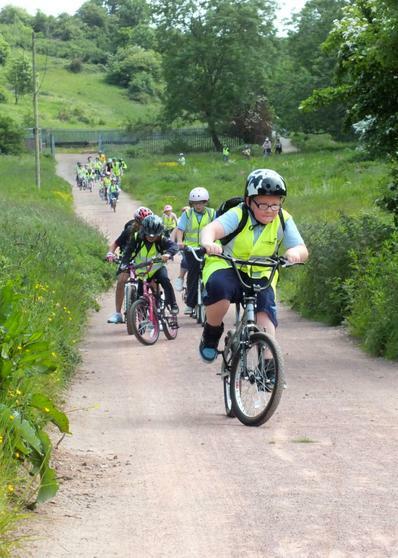 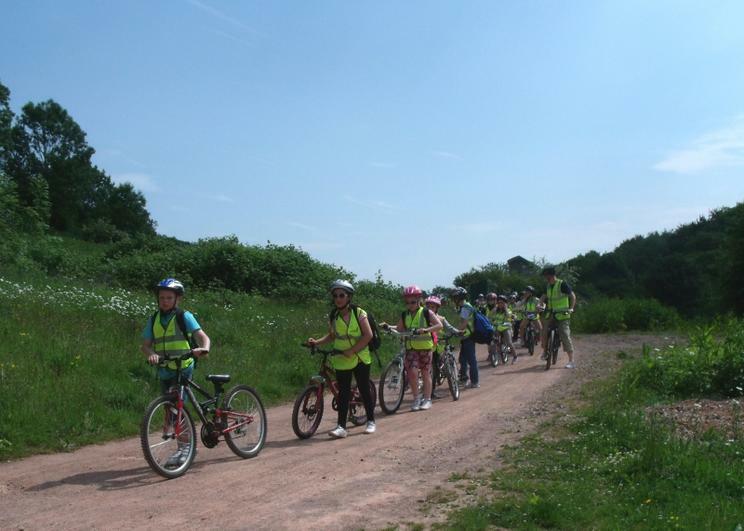 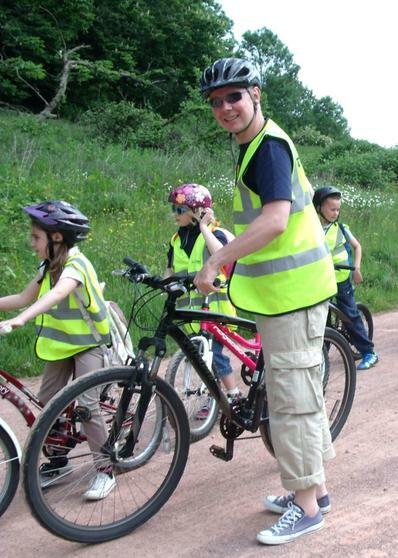 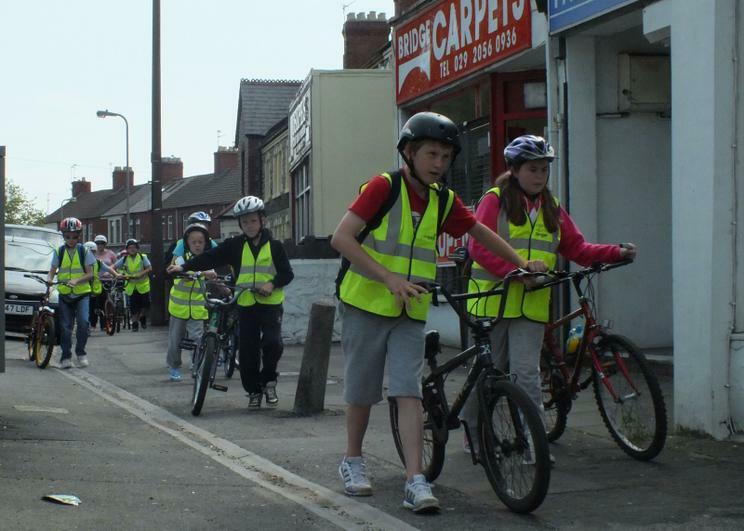 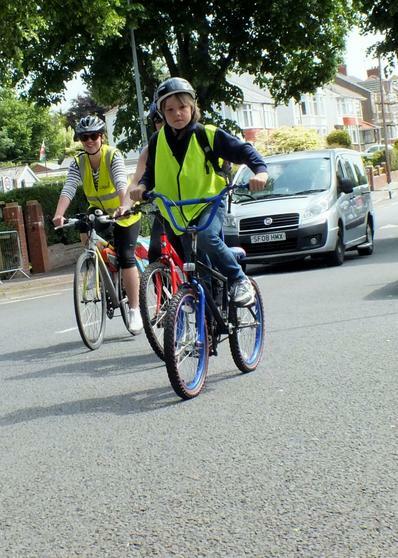 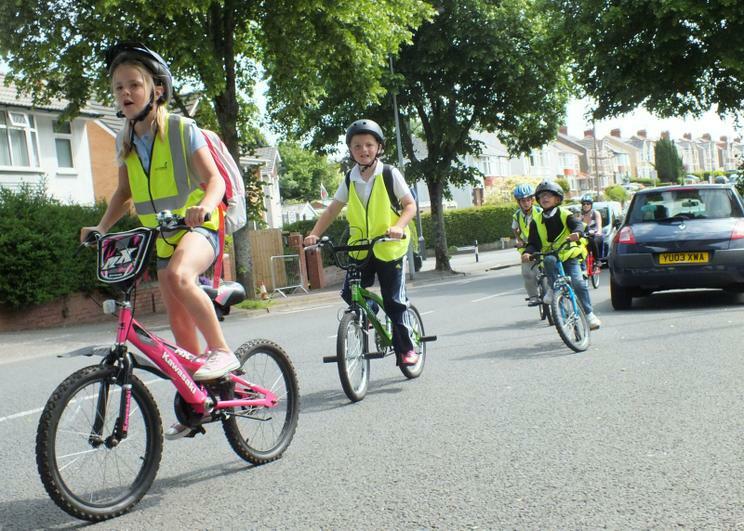 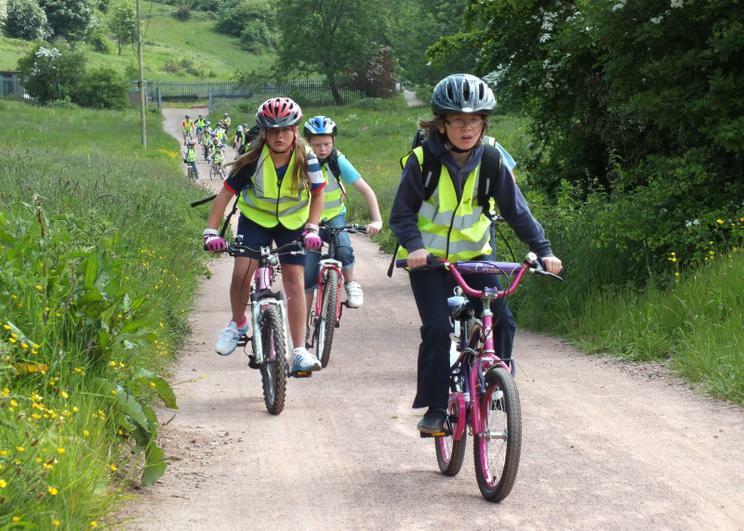 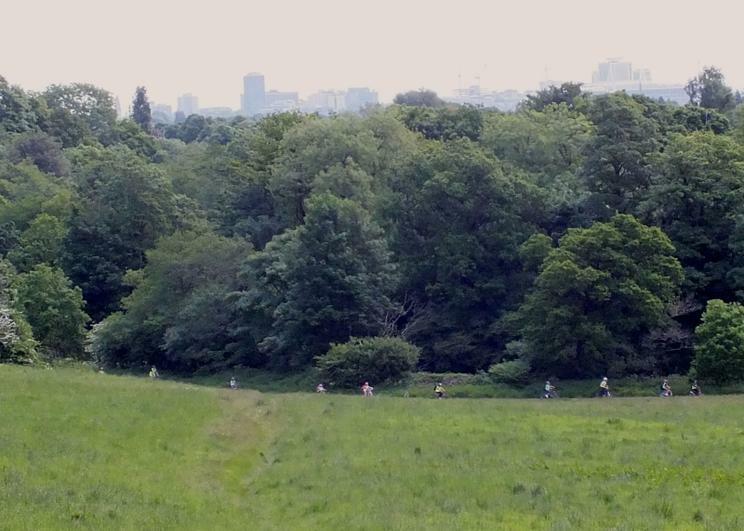 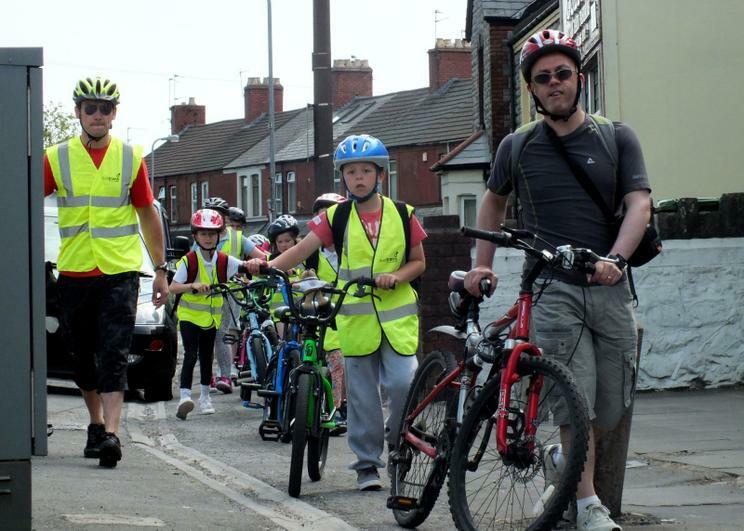 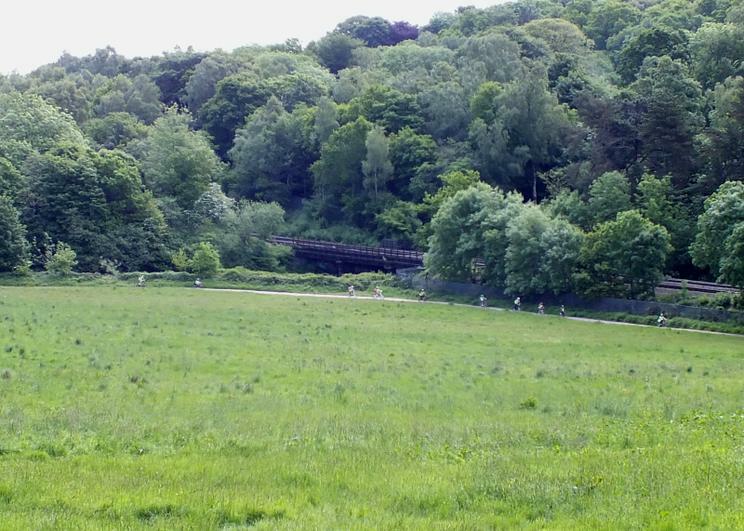 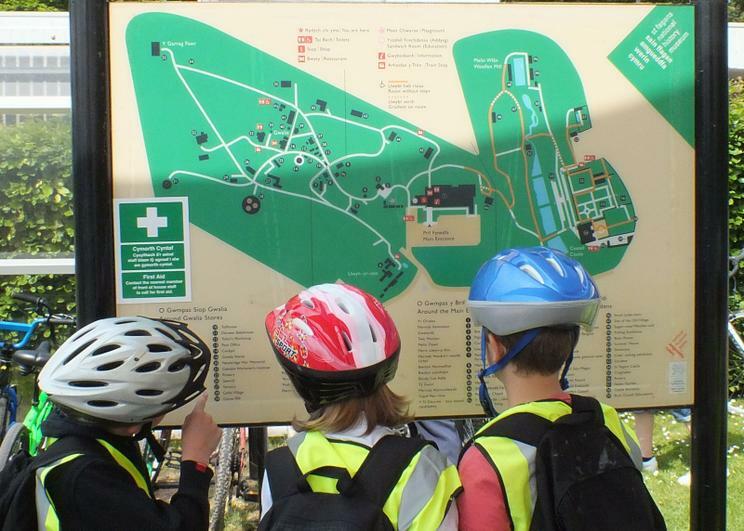 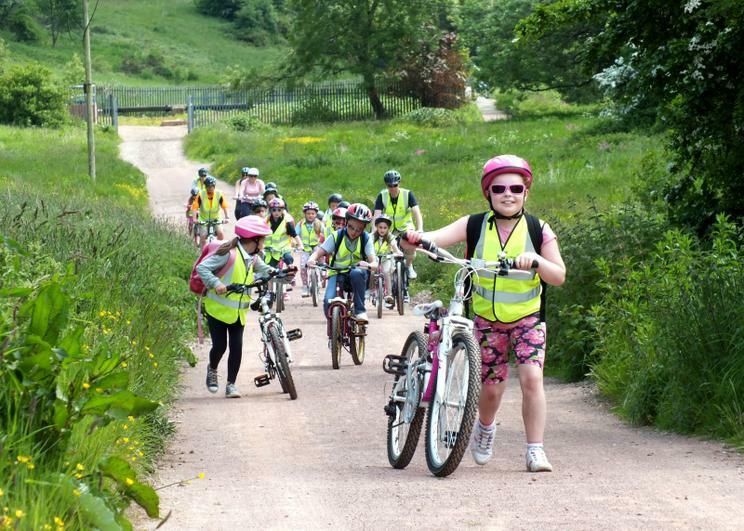 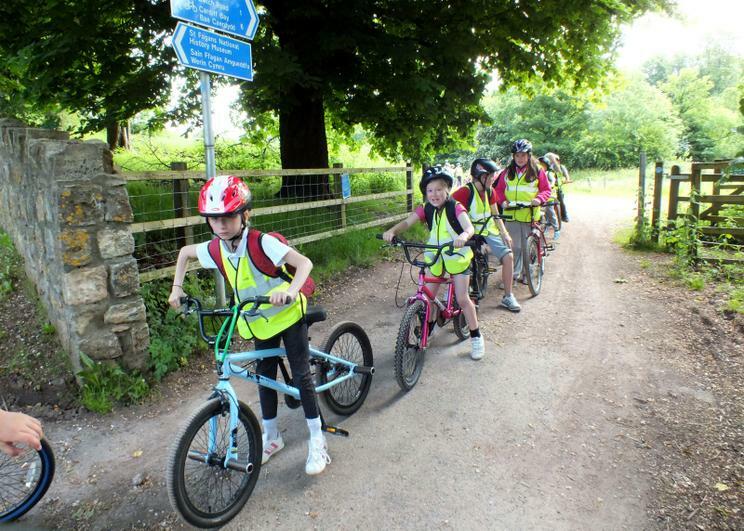 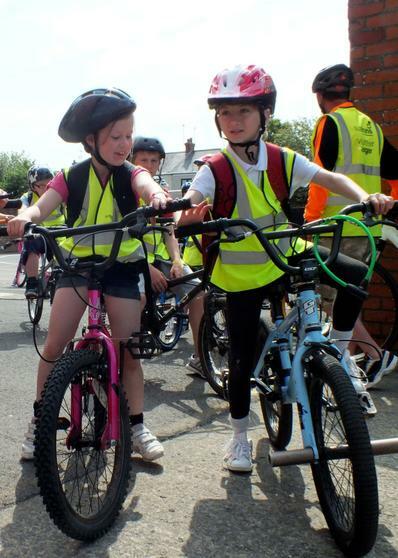 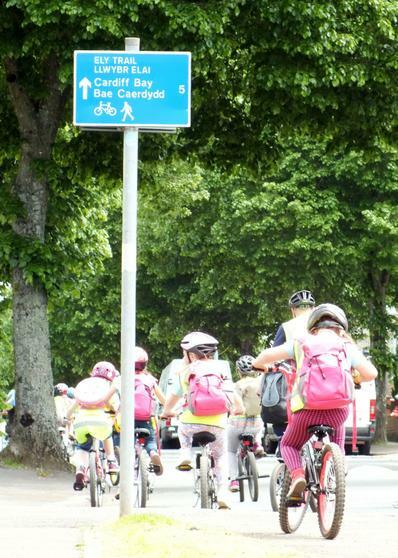 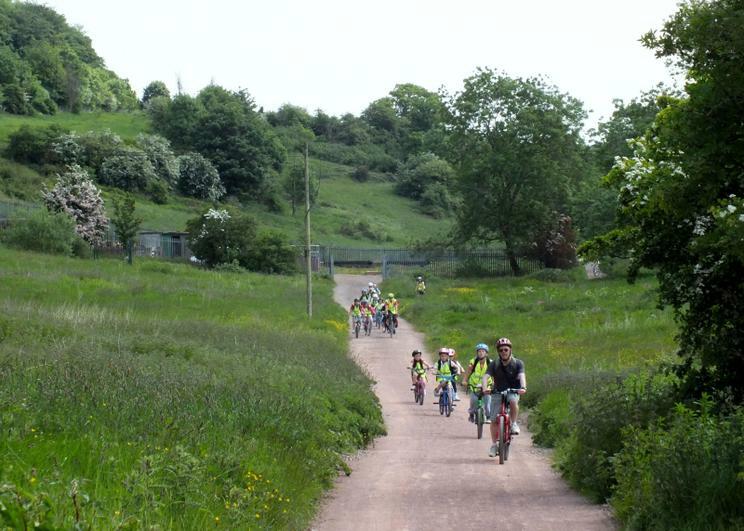 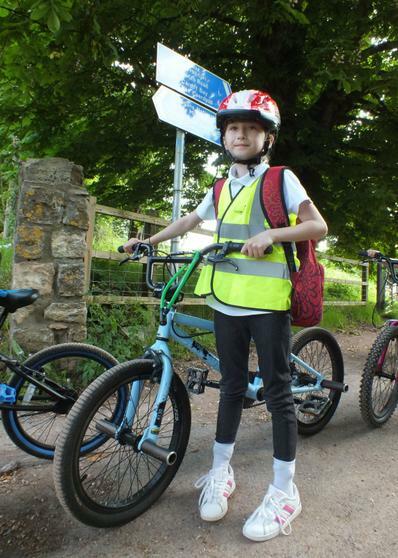 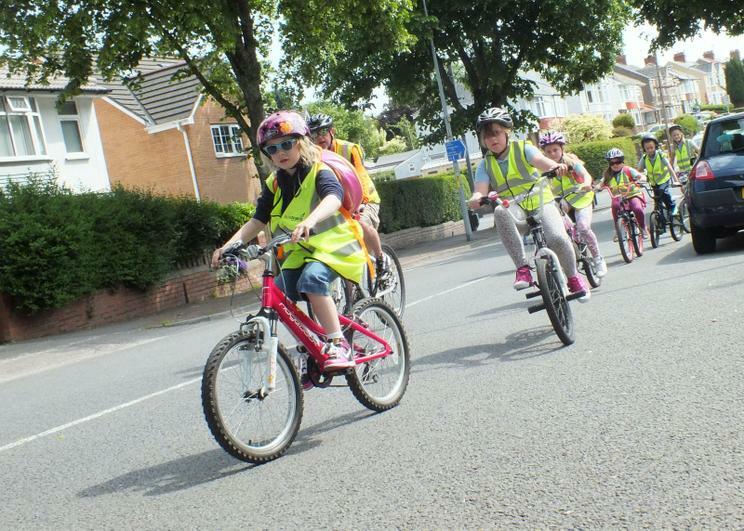 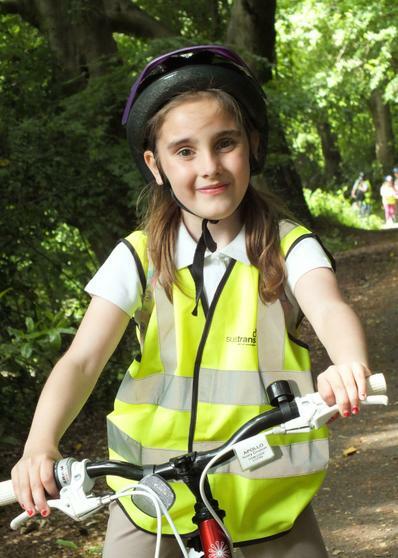 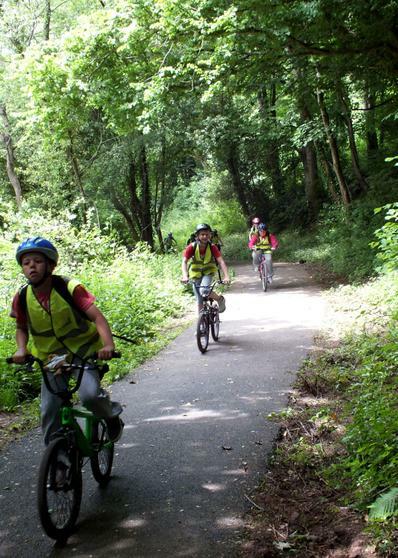 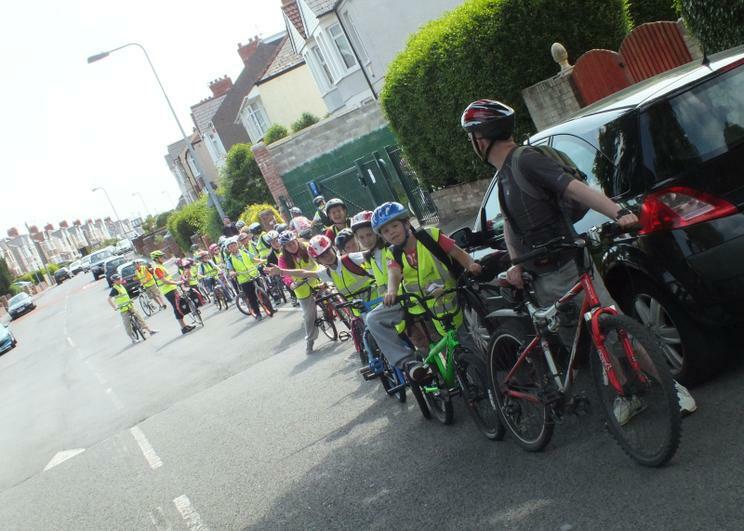 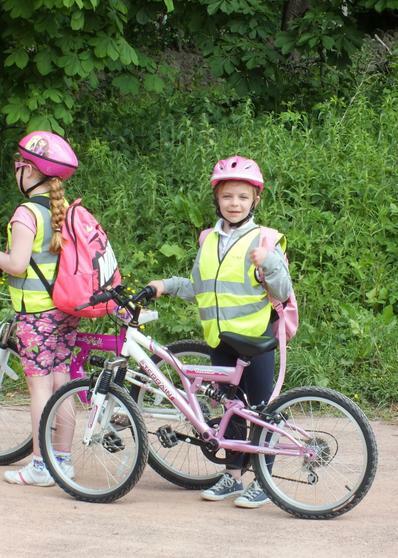 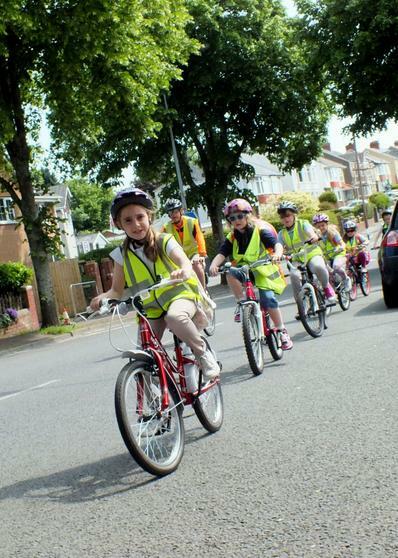 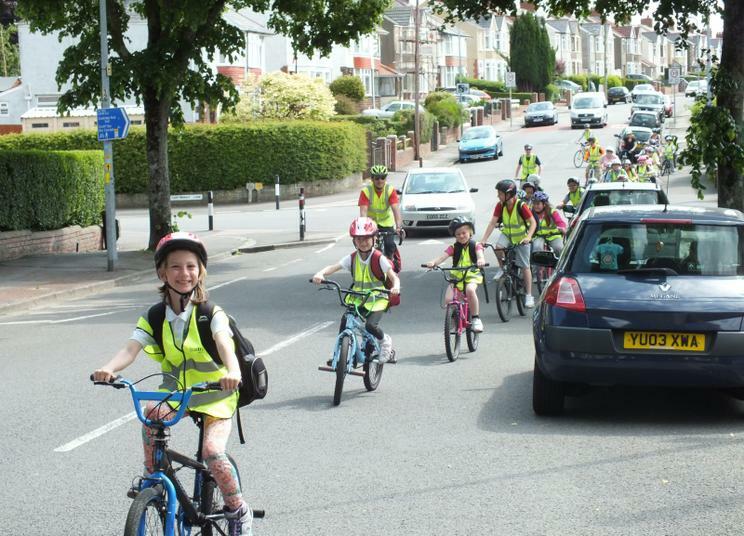 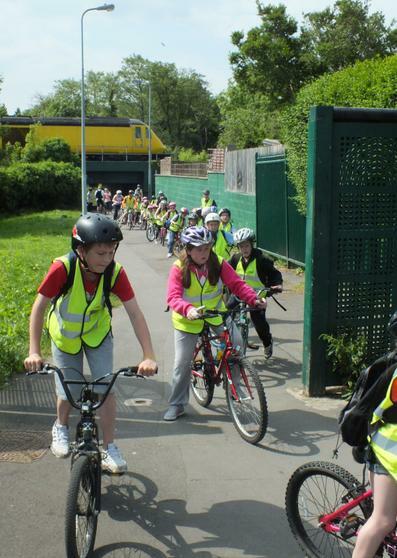 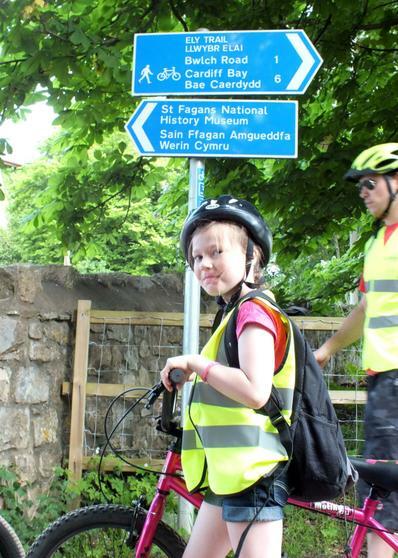 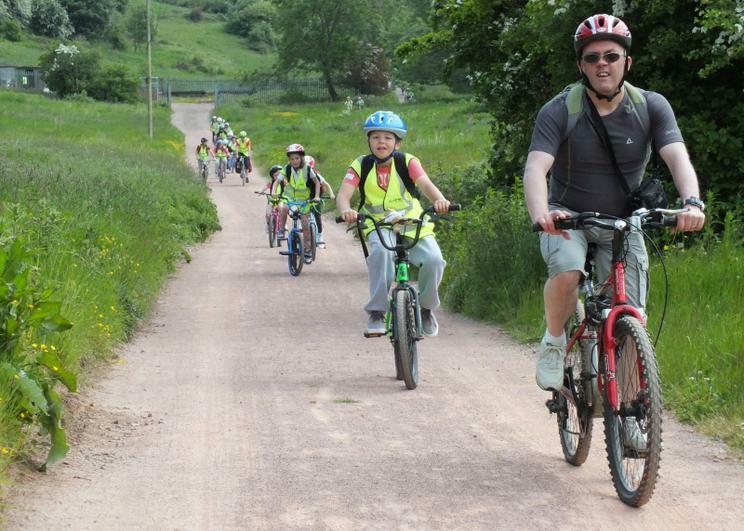 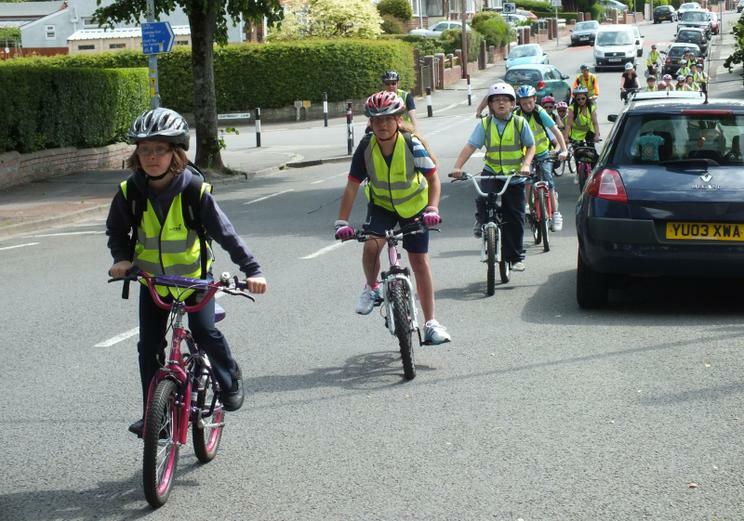 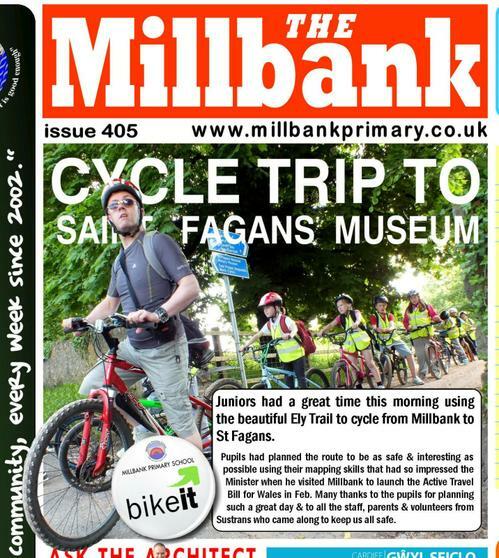 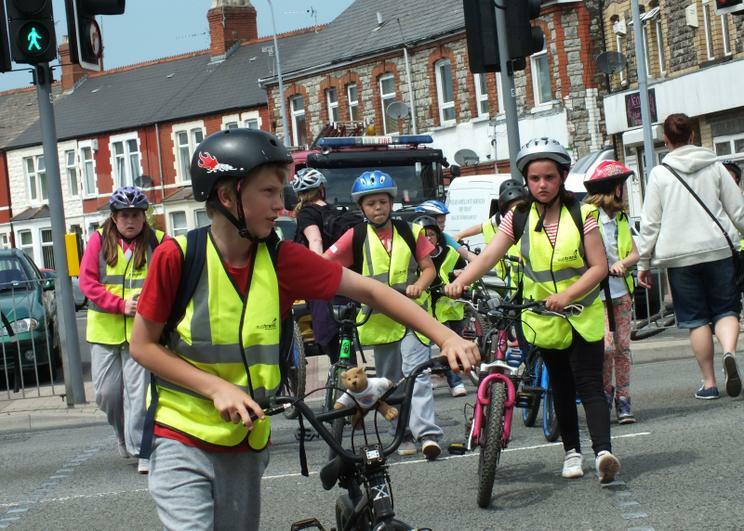 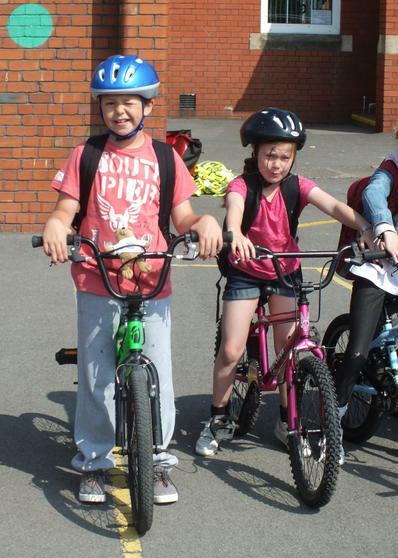 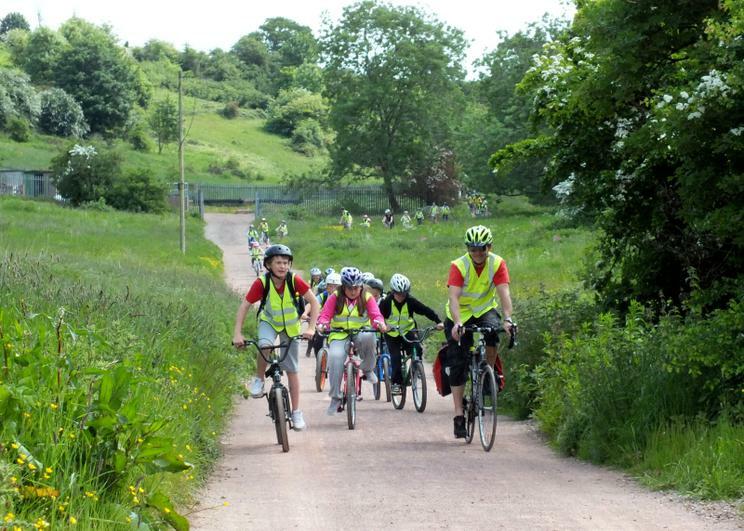 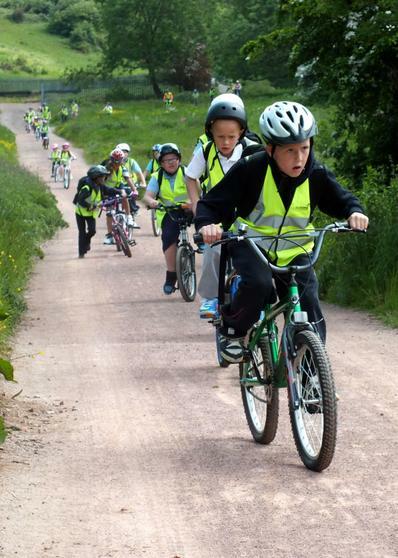 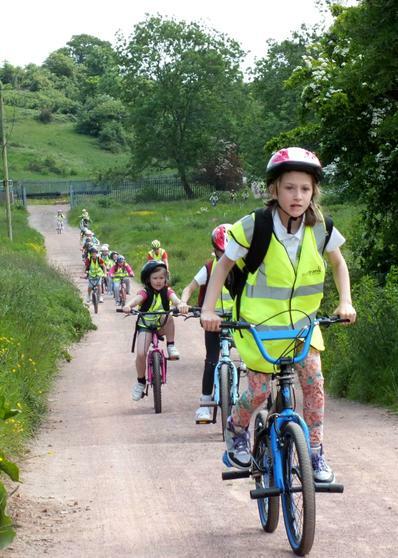 Encouraging Cycling is part of the Eco code voted on by the children every year and we are a very active BikeIt school. 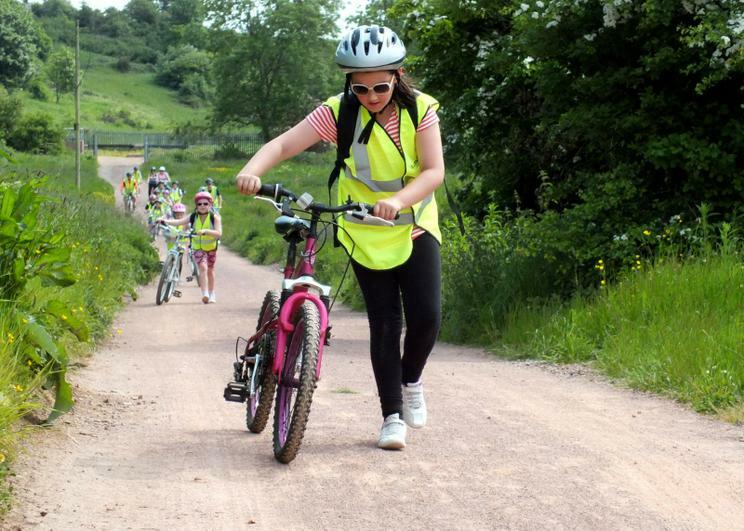 Before we started off we did a simple ABC bike test, Air, Brakes and Chains, just making sure we had air in all our tyres, the brakes were working and that there were no problems with the chains and pedals. 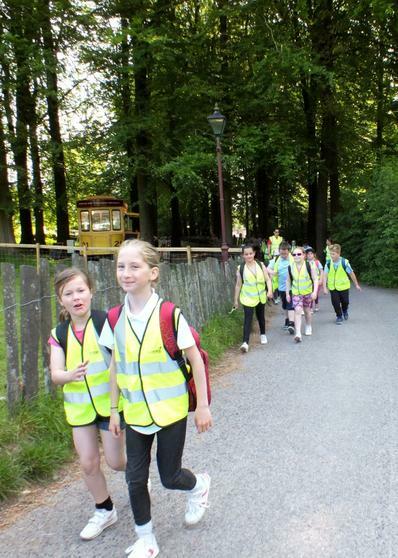 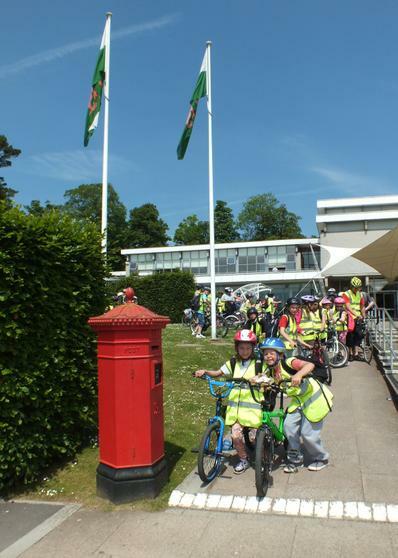 Then we checked all the pupils had their helmets correctly fitted and were wearing the bright high visibility jackets before we set off. 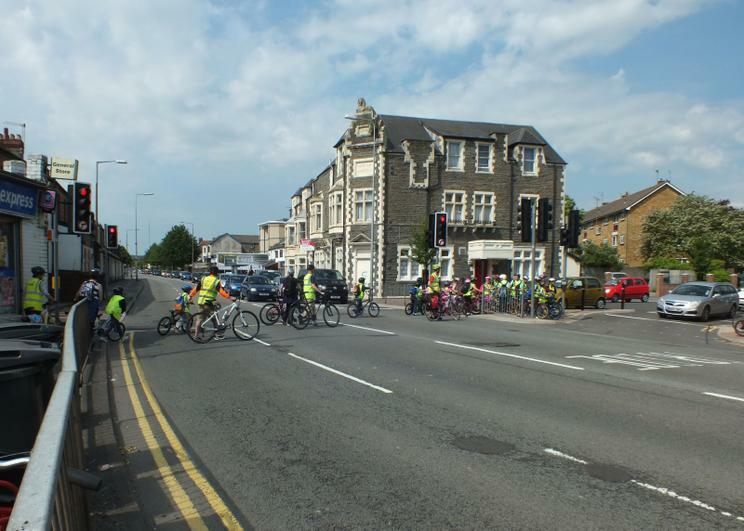 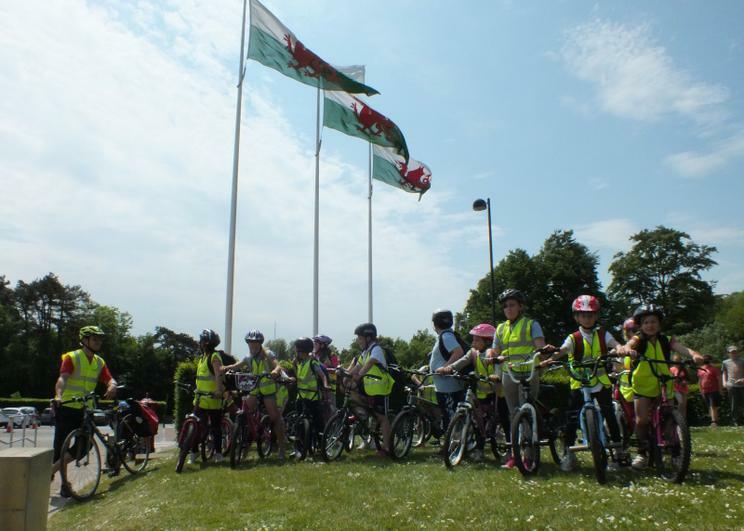 The A48 is a very busy road and so for the first ½ kilometre we walked with our bike before we could safely mount them and ride them to the Ely Trail. 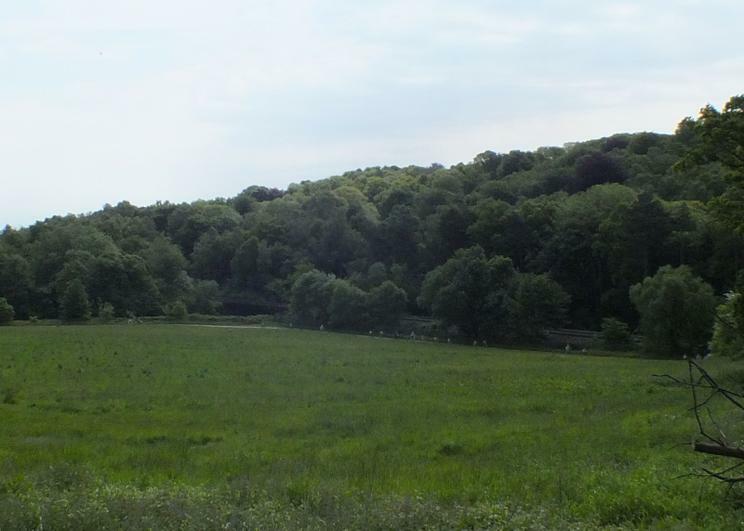 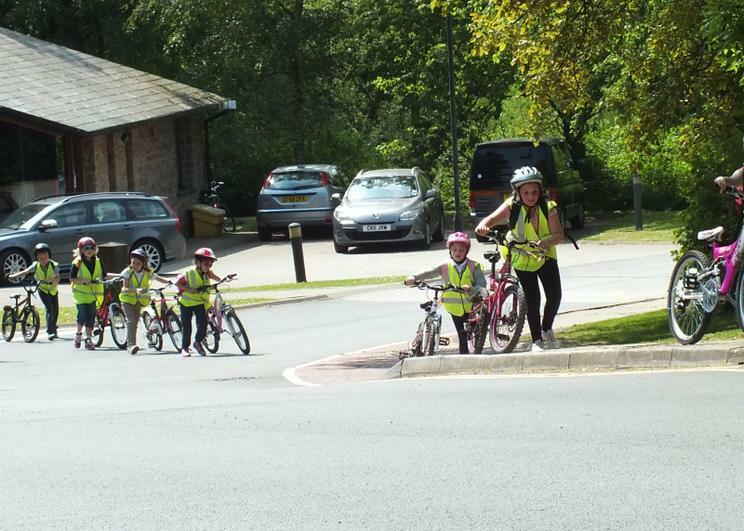 It was a lovely bright sunny day, not to hot but warm enough for us to enjoy the day. 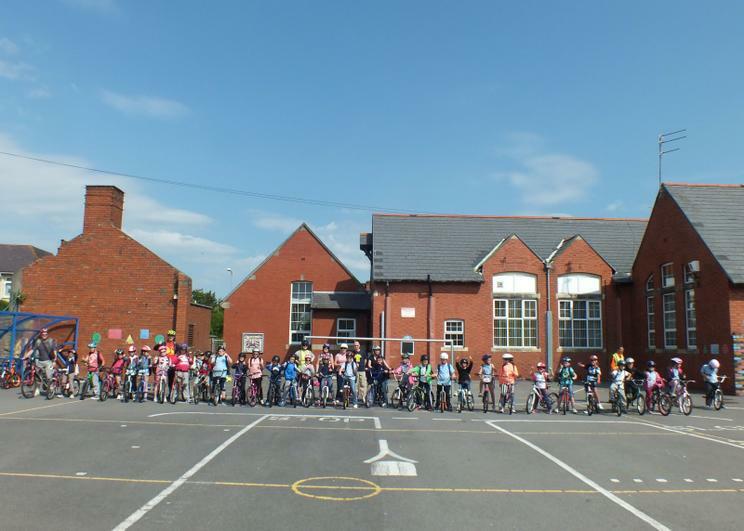 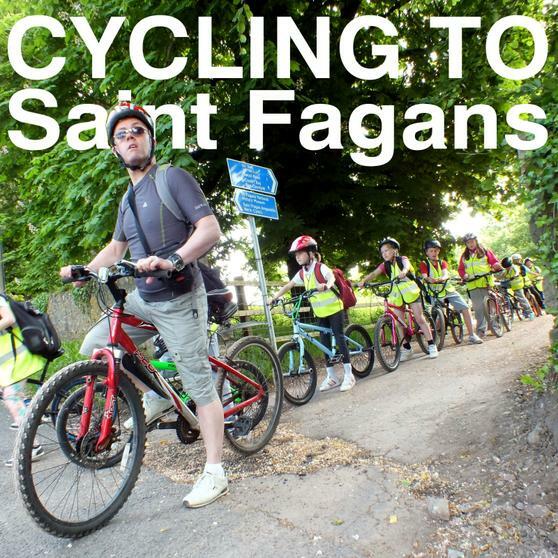 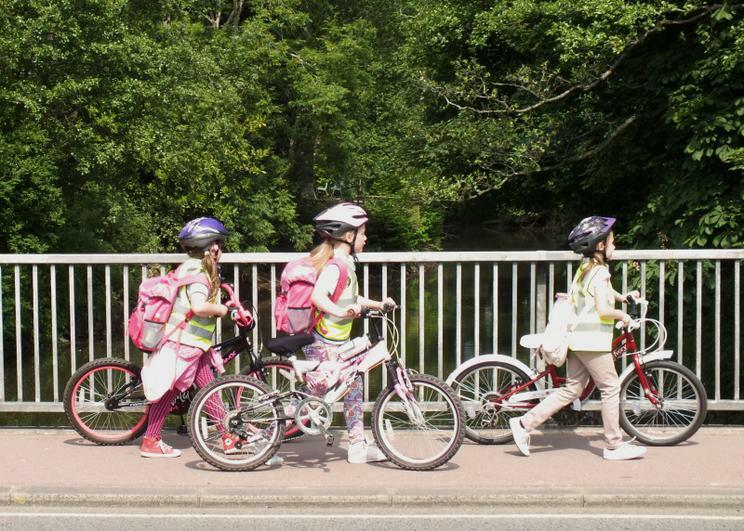 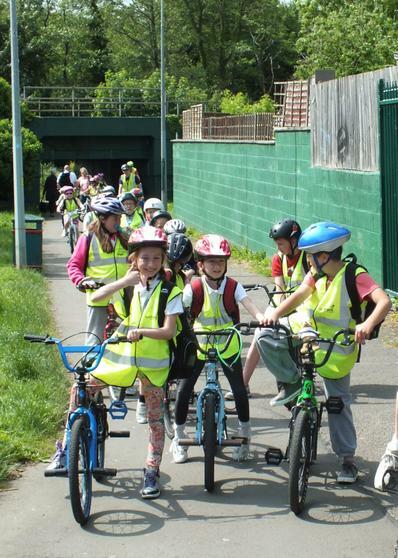 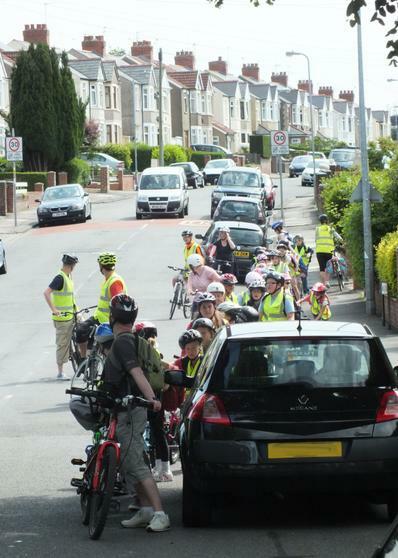 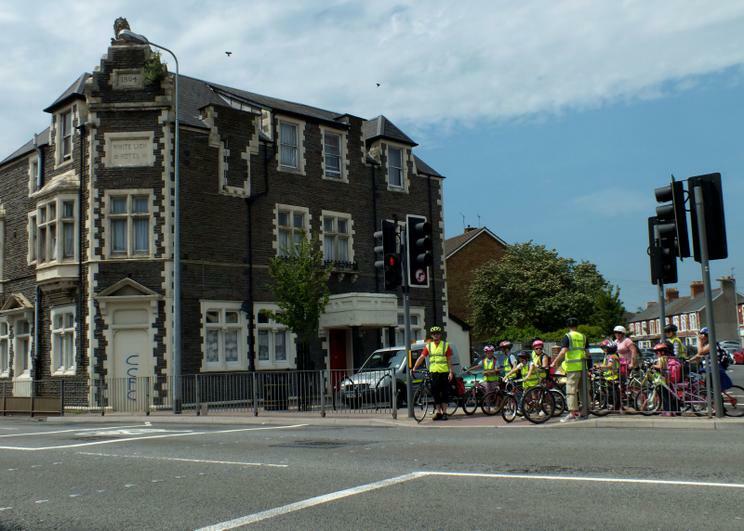 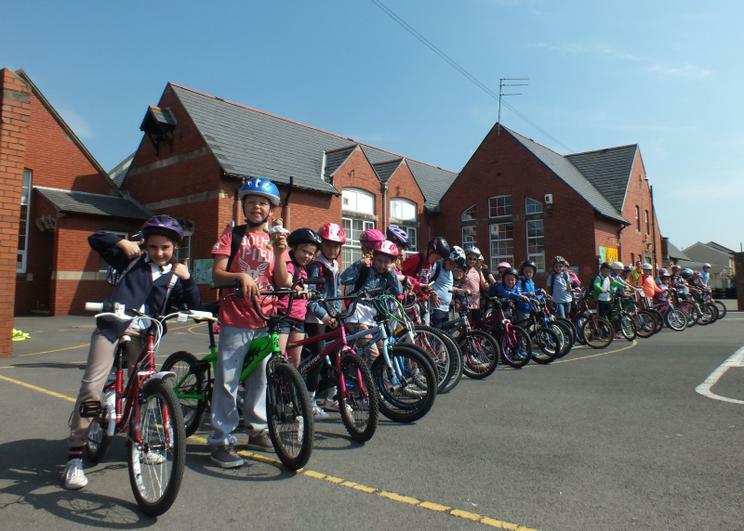 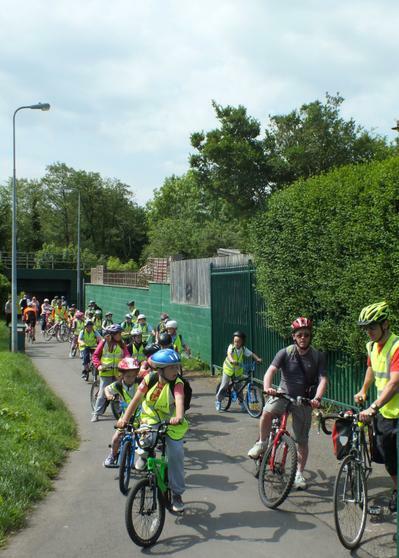 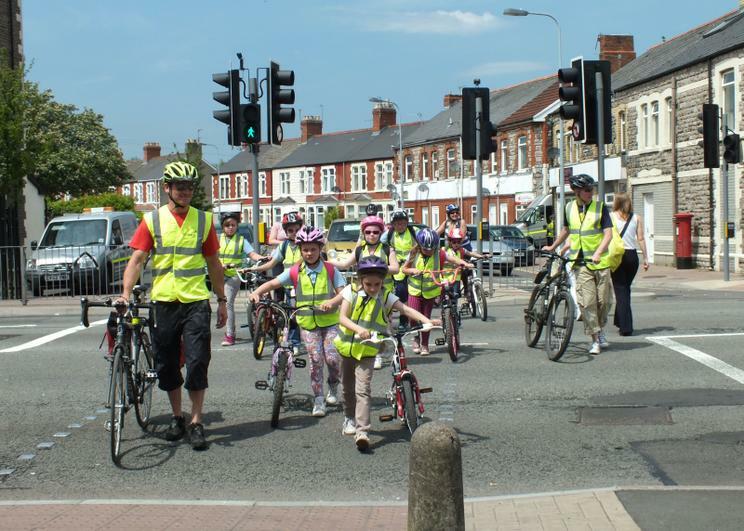 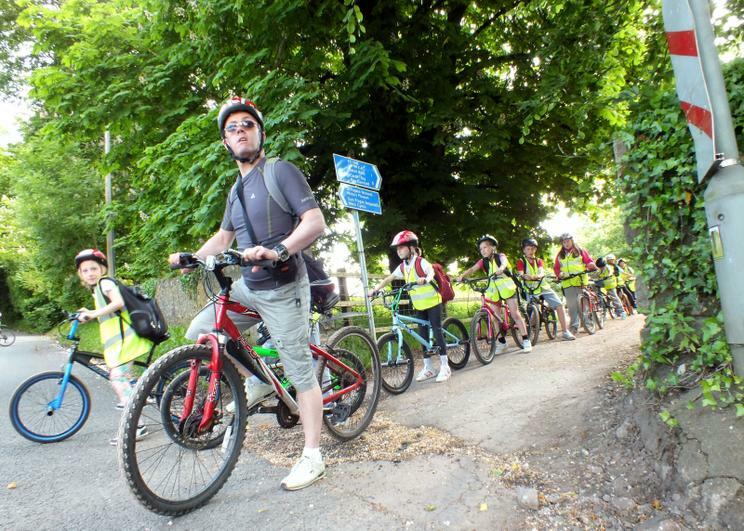 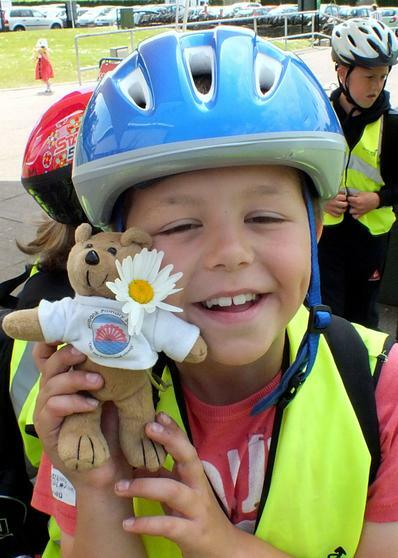 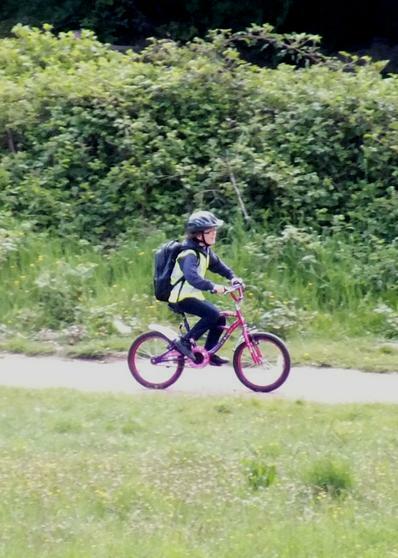 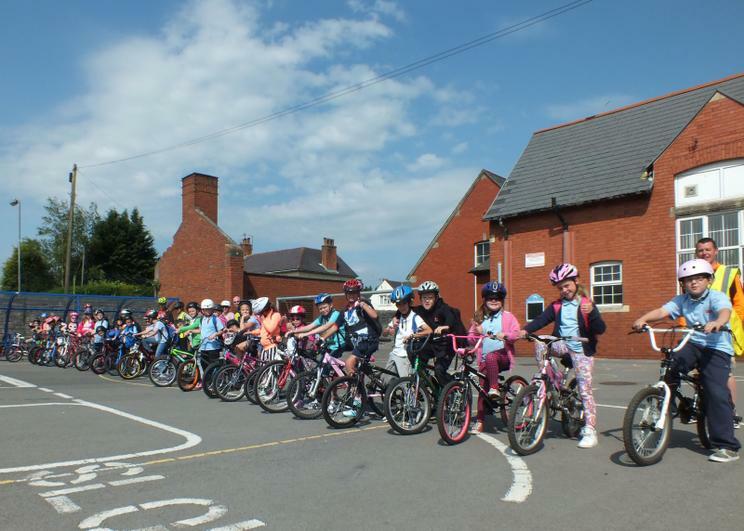 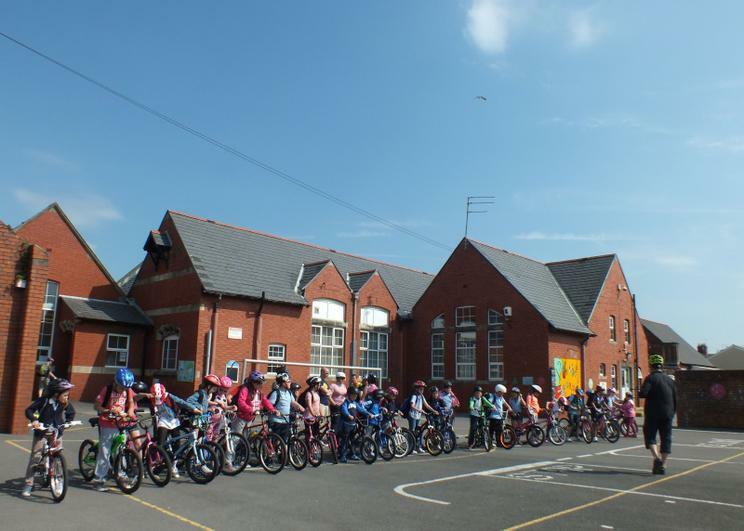 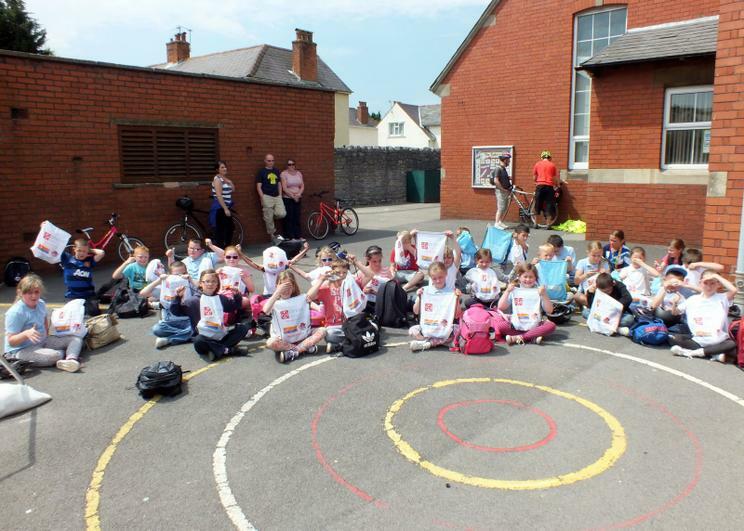 We would like to say a big thank you to Mr Thomas (our school Cycle Champion), Mrs Richards, Mrs Thomas, Mr & Mrs Ashmann and everyone who came along to keep the children safe. 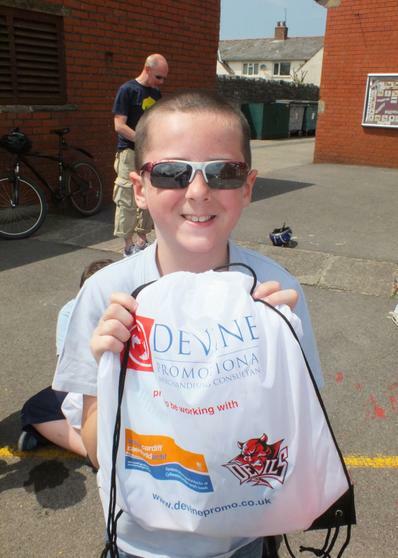 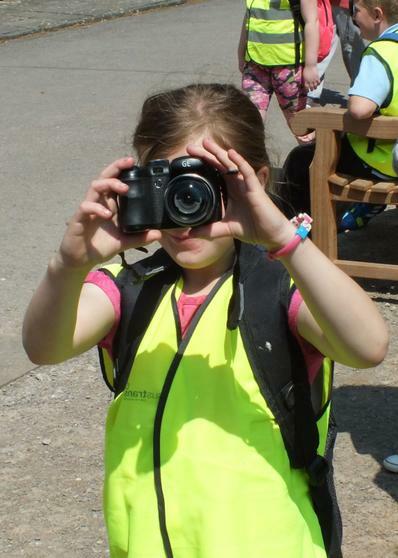 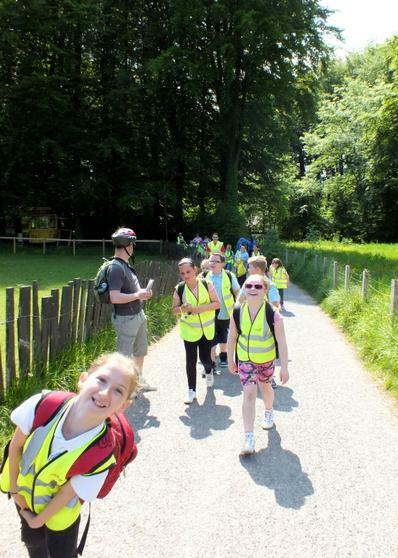 We'd also like to thank the children who worked with Rox and Mr Thomas to plan the trip - well done!